The People’s Democratic Party (PDP), Lagos State governorship candidate, Jimi Agbaje who challenged the victory of his main rival, Akinwunmi Ambode in the last poll at the Election Tribunal has been permitted by the court to inspect the materials used during the election. (1) INEC’s non-compliance with Section 7 of its own 2015 Election Guidelines which provides for the use of card readers in all polling units. (2) APC’s non-compliance with Section 85 of the Electoral Act 2010 (as amended) which stipulates that a party must give INEC 21 days notice of the convention where it intends to choose its governorship candidate. APC’s letter notifying INEC of the convention where Ambode was elected was submitted on November 18, 2014 while he was chosen as the party’s candidate on December 4, 2014, 5 days shy of the official requirement. (3) Ambode’s allegedly conflicting claims of his state of origin. Agbaje is alleging that the APC candidate stated in his JAMB form (REG No: 646789) that he’s from Ilaje Local Government Area in Ondo State while in his governorship form, he claims, under oath, to be from Epe in Lagos State. The three-man tribunal led by Justice ‎Muhammad Sirajo ordered INEC to provide certified true copies of all polling documents, including printed data from the card reader machine, in each polling unit. 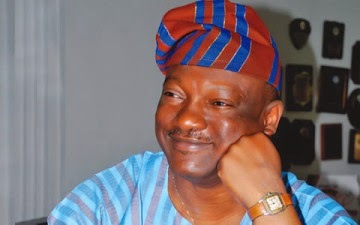 The Tribunal however rejected Agbaje’s request to inspect the polling documents and devices used in the conduct of the March 28 Presidential Election in Lagos State. PreviousPeter ‘Psquare’ Okoye commends Emmanuel Adebayor for opening up about his family issues. NextReal Madrid tops world’s most valuable football clubs list. Veteran actress, Rachel Oniga welcomes first grandchild.